The Conservation Department at Red Butte Garden (RBG) has a 22-plus year history of working to better understand and conserve the rich botanical legacy of the state of Utah. Primarily assisting federal agencies with their legal mandates for natural resource management, RBG Conservation staff completed an average of three to six externally funded projects per year. These projects bring research dollars to the garden, and provide a valuable service to the people of Utah and the nation as a whole. 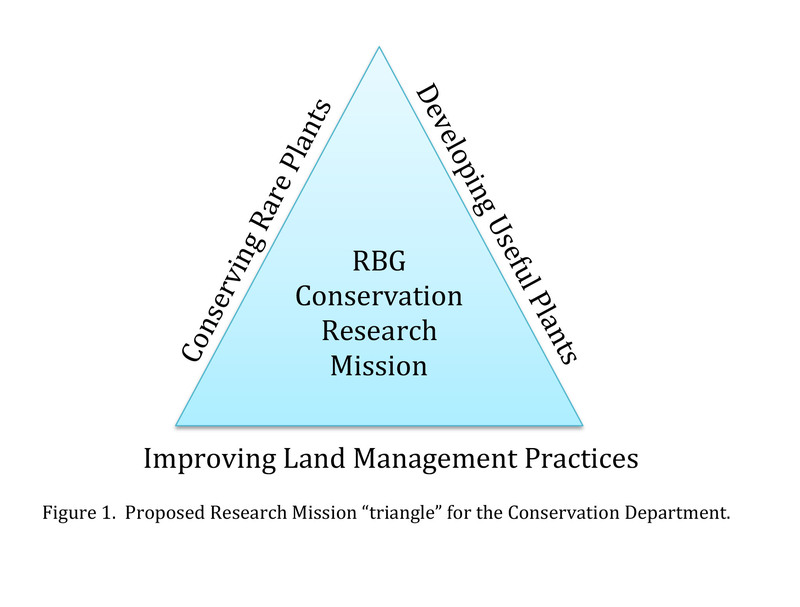 Consequently, the RBG Conservation Department received awards and recognition from its partners, including the Bureau of Land Management and U.S. Fish and Wildlife Service, who have also indicated that Red Butte Garden is as highly regarded in terms of work quality and scientific objectivity as any other institution in the state. 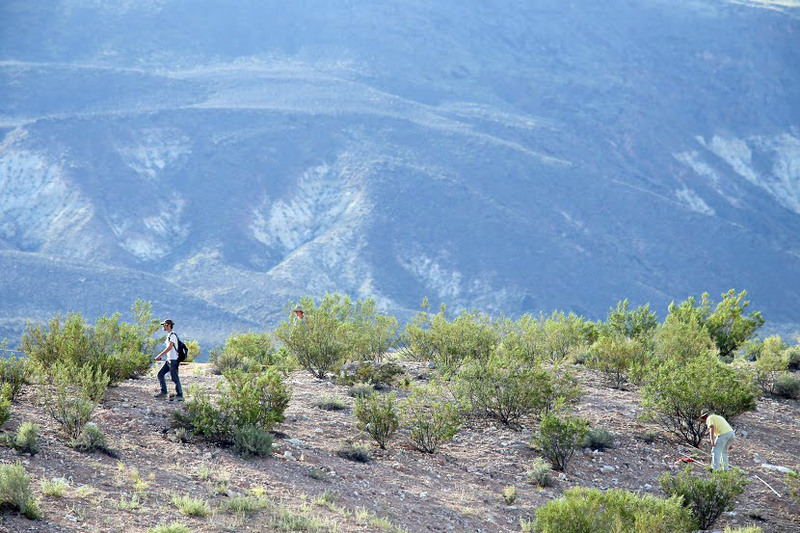 Most of what we have done has centered upon the conservation and restoration of rare Utah plants — of which there about 300 taxa — and collection of native plant seeds for long-term storage. For example, in 2015 we completed three rare plant-monitoring projects, collected over 24,000 seeds of 12 rare species and well over 270,000 seeds of 14 common species now stored at the Bend Seed Extractory in Bend, Oregon. As conservation director, I believe we have an opportunity to capitalize on our history and excellent reputation by diversifying our research mission. This could be accomplished by developing more relationships with the private sector and the state of Utah, and by building bridges to other departments and institutions that strengthen our research “products” and increase our public outreach. What might that diversified mission look like? Conserving rare plants is one leg of our research mission (see Figure 1). We are a go-to institution in Utah for providing high quality, objective information in sensitive conservation situations. The projects often involve research into germination, cultivation, population biology, reproductive biology and restoration of rare species, capitalizing on existing expertise in horticulture as well. Utah flora is rich, composed of many common species of great potential value. Some are wild relatives of food species, possessing genes for drought tolerance, disease resistance, and improved nutrition that are of interest to crop breeders. Other species are able to colonize areas disturbed by energy exploration, road construction, and other forms of development, thus stabilizing soil and improving habitat quality for animals — including precious pollinators. We have only just begun to realize how many drought-tolerant native species are beautiful enough to cultivate in home gardens yet require very little water. Identifying and researching how these native plants can be used and made more available to the green and restoration industries is the second leg of our research mission. Red Butte Garden Conservation efforts. The third leg of our mission will emerge from the other two. As we understand more about native plants and how they can be used to improve soils, natural vegetation, and animal habitats; we will simultaneously inform and improve land management practices. This can lead to more sustainable botanical resources for the public by avoiding ecosystem degradation, and by promoting increased productivity through restoration. We have developed and maintained excellent partnerships that support Red Butte Garden’s Conservation Program, and a diversified research mission will allow us to engage new partners on new projects in the future. Our seed-collecting expertise can provide locally sourced native seed mixes to companies looking to reseed damaged areas after project completion, thus ensuring that the right seed is put in the right place to maximize success and minimize costs of native plant restoration. Furthermore, extractive industries, a large part of the Utah economy, are coming under increasing scrutiny in terms of land management, rehabilitation practices, and available plant materials. Our recent project at Blackrock Gypsum (RBG Winter 2015 Newsletter) is another example of how we can objectively partner with these industries while ensuring that biological resources on public lands are replenished after use. Finally, this expanded mission can build better ties to like-minded research institutions. Botanical gardens are not often seen as research centers, even though they have the expertise, materials, and land that can support and be supported by the activities of other departments and institutions (Hardwick et al. 2011). RBG has the unique opportunity to partner with new University of Utah faculty to be hired under the “Biodiversity Cluster” to achieve common conservation goals. Several projects are already underway between RBG Conservation, the U’s Rio Mesa Center and the Natural History Museum of Utah in pollination biology and ethnobotany, with potential for new exhibits and other forms of public and academic outreach. These sophisticated research partnerships are important to establish and nurture because they distinguish Red Butte Garden as an important piece of a larger network dedicated to conserving the rich and diverse botanical legacy of the West. For more information on current and recent projects, please visit us. Hardwick, K.A., Fiedler. P., Lee, L.C., Pavlik, B., Hobbs, R.J., Aronson, J., Bidartondo,M.,Black, B., Coates, D., Daws. M.I., Dixon, K., Elliott, S.,Ewing, K., Gann. G., Gibbons, D.,Gratzfeld, J., Hamilton, M., Hardman, D., Harris, J., Holmes,P.M, Jones, M., Mabberley, D., Mackenzie, A., Magdalena, C., Marrs, R., Milliken, W., Mills,A., Nic Lughadha, E., Ramsay, M., Smith, P., Taylor, N., Trivedi, C., Way, M., Whaley, O. and S.D. Hopper (2011). “The Role of Botanic Gardens in the Science and Practice of Ecological Restoration.” Conservation Biology 25, 265-275.